FOR IMMEDIATE RELEASE (Boulder, CO): Chef Ian Clark of Centro Latin Kitchen & Refreshment Palace has been an avid part of the Boulder dining scene for over 12 years. His commitment and passion in the kitchen have earned him recognition locally and nationally including a feature on the Cooking Channel’s Unique Eats and being named “Denver’s Best Restaurants” by 5280 Magazine. Chef Ian’s kitchen craft has awakened our palates to his soulfully delicious Latin cuisine for over five years and now he’ll begin to share his same thoughtful technique and passion with his handbuilt ales. Chef Clark’s enthusiasm for brewing started with a simple home brew kit that was a gift for his father-in-law. What began as an enjoyable pastime on the weekends started to become an obsession as he fell in love with the art of building great beer. “Brewing beer is just like baking, like making bread, it requires the same technique, the same passion, maybe just a little more science.” –Chef / Beer Chef Ian Clark. And just like so many brewers before him, Chef Clark started to look into how to make his passionate hobby profitable. With this he found success, confirming that he could open a small nano brewery called BRU, handbuilt ales in his garage. 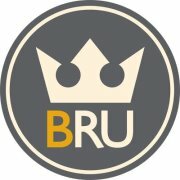 BRU will begin offering beers crafted on Chef’s Ian half-barrel system starting in April. For details in future weeks please visit www.bruboulder.com and follow the progress at www.facebook.com/bruboulder. Our beer isn’t just a beer. It’s great beer, and a great beer isn’t just about malt, barley, water, yeast, and hops. A great beer is about the people that make it; it is an expression of who we are. Our craft, our passion, and our love captured in a bottle (or a glass) for you to enjoy. First, it starts with writing the recipes and the thoughtful selection of the ingredients that go in them. Ingredients only a chef would know, because our brewer, or beer chef, as we like to call him, spends his nine to five life (or ten to ten in the restaurant world) in a kitchen, as the Executive Chef of a seriously delicious restaurant called Centro Latin Kitchen. Beer Chef Ian Clark uses ingredients that aren’t unique for unique sake, but ingredients that bring out the best flavors in our beer. As any great chef knows, great recipes take patience. Our beer has the flavor only time can bring to it because we don’t believe a great beer can be made without allowing carbonation to occur naturally. That’s why we bottle and keg condition all of our beer. We also don’t filter or pasteurize it because after we’ve put in all of that good stuff, why would we take anything out? And finally, our beer is great because not only does it go beyond the typical beer experience by using the skillful ingredients and the fine-tuned techniques that only a chef would know, our beer also has our values in it; like using wind power and eco-friendly chemicals, as well as composting, recycling, and donating 1% to the planet. So while we may list all of the ingredients on our label, we’ve left out a few; passion, joy, honesty, creativity, technique, sleepless nights, and a whole lot of love. We hope when you’re in one of the restaurants or liquor stores that carry our beer you’ll buy one, and that this time your tilt, tip, and sip is followed by the bubbling flavor of handbuilt BRU. A native of Gorham, Maine, Ian Clark first came to Boulder on a road trip at the age of 16. Before culinary aspirations ever entered his head, he fell in love with the town and atmosphere of Boulder. He returned to Colorado in 2000 after completing culinary school at the New England Culinary Institute in Vermont and finishing an apprenticeship at the Historic Black Point Inn in Prouts Neck, Maine. Ian's resume includes time spent in the kitchens of John Platt at Q's Restaurant in the Hotel Boulderado as well as the Ritz Carlton in Dana Point, California and for Chef Mavro in Honolulu, Hawaii. Named sous chef at Jax Fish House, Boulder in 2003, Ian was able to craft what he calls classically inspired cuisine. In 2005 Ian became the Chef for Rhumba Café Caribbean. In 2007 he helped open Centro Latin Kitchen & Refreshment Palace. While at Centro, Ian has earned numerous accolades including being selected as the Mexican-cuisine expert for Atkins Chef Recipe Program, providing Atkins with recipes and cooking demos along with 5 leading chefs across the country. Being featured on the Cooking Channel’s Unique Eats Mexican episode. Named “Denver’s 10 Best New Restaurants” -5280 Magazine, “Denver’s Best Restaurants” -5280 Magazine, and "Best Chef" at the March of Dimes Signature Chef Event. Chef Ian Clark commits himself to creating innovative, soulfully delicious Latin cuisine with the finest quality of ingredients. His dedication to excellence paired with his focus on detail has helped define his “stubbornly uncompromising” food. - Great Storm Brewing set to open in Colorado Springs. - Sneak peek at Black Bottle Brewery. 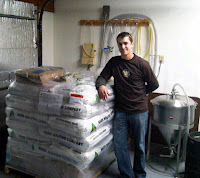 - Lone Tree Brewing Company opens in December 2011. - Telluride Brewing Company opens for business.